Thanks to Mike and Tracy who report on a really worthwhile emergency first aid course they have just been on. Something that everyone doing potentially dangerous things in the woods really ought to consider. I’m reliably informed that no limbs or body parts where actually removed from any of the participants! 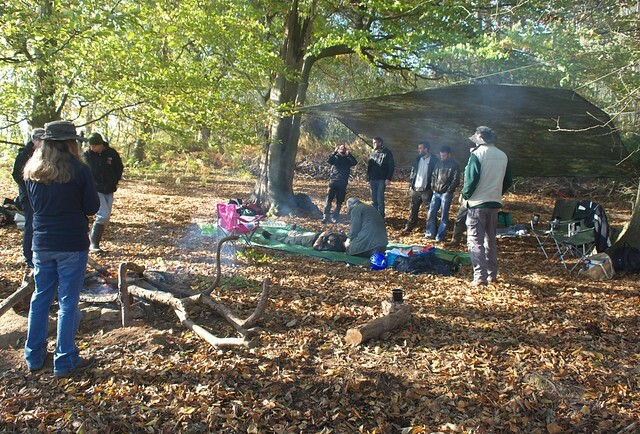 Last weekend Tracy and I both went on a brilliant ‘wilderness first aid’ course run by Emergency Life Support Team, which was run in a woodland near Hastings. 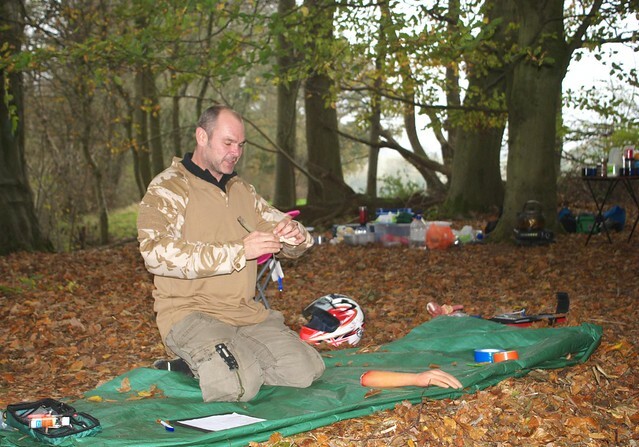 Our main instructor was Andy Sullivan, who has years of experience in the emergency services and is eminently qualified to teach people to save lives. Andy actually prefers to call it a ‘First Responder’ course, rather than first aid. This is because he’s encountered a public perception that ‘first aid’ is about plasters and bandages, when in fact what he’s covering in the course is more about the serious life-threatening conditions we might encounter. 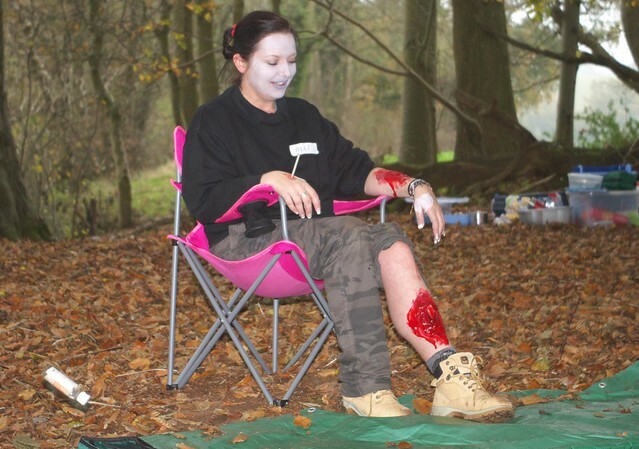 We did of course cover minor injuries, but the main focus was on learning what to do with the more serious situations and gaining confidence through practice. Thanks Mike and Tracy, you can see the unabridged multicoloured gory details on the Peplers blog here!